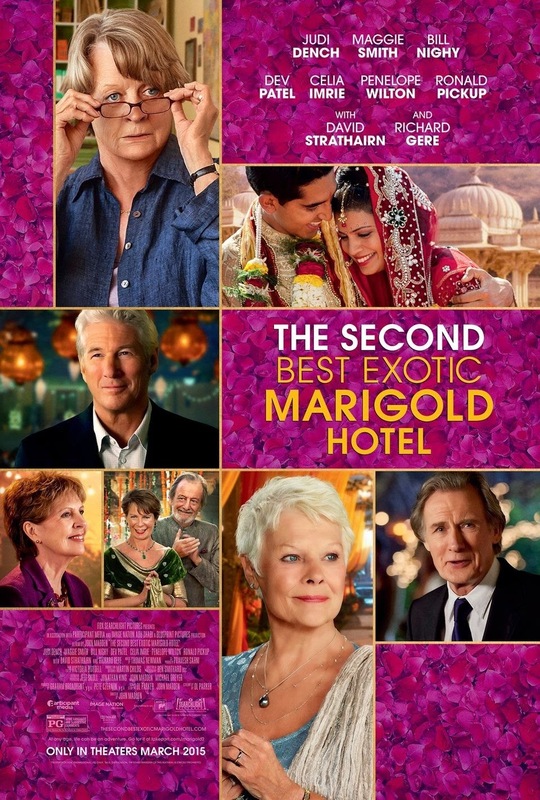 Critics Consensus: The Second Best Exotic Marigold Hotel is about as original as its title -- but with a cast this talented and effortlessly charming, that hardly matters. Yeah, I haven't seen the first one. I wanted to but somehow just missed it and never got round to it. Why did I watch the second one? Well, I was sitting in traffic one day listening to BFM and the folks on air were chatting about some current stuff and then just as they break they talk about giving away free passes to a preview/premiere of this movie. All anyone had to do to get it was answer a simple question and text it to them. So I did. And I won. So yeah, that's why I went to watch it. So I sort of know what the first one was about and quite a few of my friends said it was really good. Like I said earlier I did want to watch it but it just kept slipping my mind. 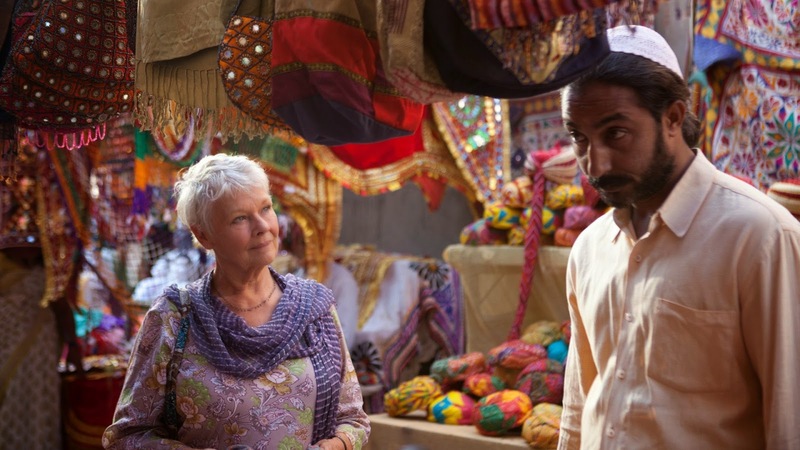 But come on it's a story about a bunch of old folks who go to India looking for a change of scenery and finding their lives changing completely. How far could it go in the next one? Right? Yeah, well here's my thoughts on the second one. I'm not going to do the usual play by play recall of what I saw. The movie's been out for a while but it's only coming to Malaysian shores on the 9th of April. So if you really want to know what it's about go watch it or go google it, there's a whole bunch of sites with complete synopsis for it or go straight ahead and read the reviews for it after you read mine. I of course didn't bother doing either. I did though check to see how it fared against the first movie. Didn't do as good. So basically this movie takes place a few months after the first, the hotel is looking to expand and they're talking to an American company the company tells them they'll send an undercover representative to evaluate their hotel before they make a decision. There's also a wedding being planned, a misunderstanding that leads to an assassination attempt, a declaration of love at the end, Richard Gere falls in love, a bunch of other stuff but everything ends well in the end. How could it not, right? How was it? Well, it wasn't bad. It's a quaint little comedy but somehow I think it would be better if I had seen the first one first. It felt like there was so much going on that each characters story arc was just skimmed past. It didn't feel disjointed or anything like that but it felt fleeting to a point that I wasn't or didn't feel all that invested in any of the characters. The only thing I found about the characters on screen was endearing and sort of adorable. Except for Dev Patel's character. He was just a little bit annoying. A touch self absorbed. The characters that I found very endearing were played by Judi Dench, Maggie Smith and Bill Nighy. The rest were sort of background noise. Was it funny? It had it's moments. Not laugh out loud moments. Very British wit, dry humor sort of thing. A bit of HAHA every now and then but nothing to bring you to tears. I'm sure there's some inside jokes that refer to the first movie but since I hadn't seen it I probably didn't laugh at them. Maybe. Visually it was all very pretty. India or more specifically Jaipur never looked that way before but then they probably dressed it up a bit. The music was interesting, a mix of bollywood and other stuff. Honestly speaking, for me it was very much and average movie. A nice way to spend an hour or so. Probably better if you've seen the first one. If you haven't then I'd suggest go watch the first before deciding to watch this one. Or if you've seen all the other movies currently playing and have nothing else to do, yeah go watch this. All in all, I had a pretty entertaining time. So I'd give it a decent 3 out of 5. I'll probably watch the first one sometime soon. I'll tell you what I think of that one when I do. THANK YOU BFM RADIO FOR LETTING ME WIN THOSE PASSES!! THANK YOU GSC CINEMAS @ QUILL CITY MALL FOR HOSTING US! 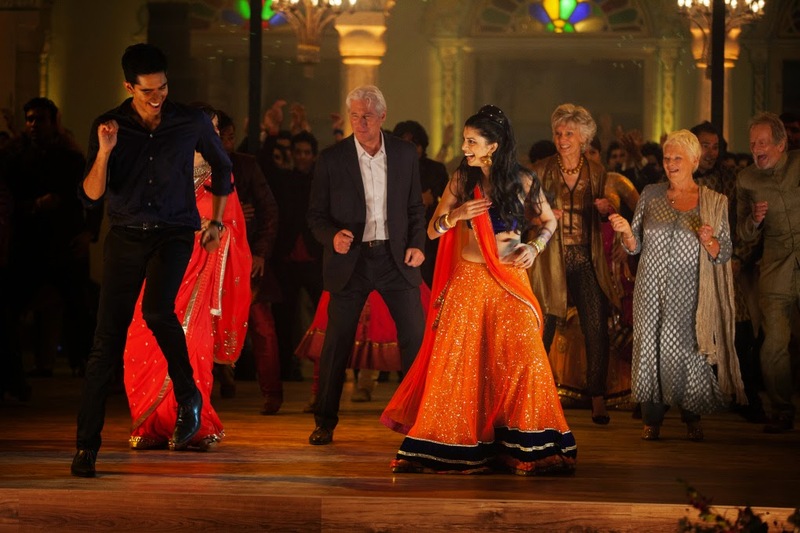 I learned that whatever your age, we suggest you follow the example of the residents of The Best Exotic Marigold Hotel: Be brave! Go for it! Hey Thomas! Yup, that's the best message this movie has for us. Hope you're doing well!